Early morning. 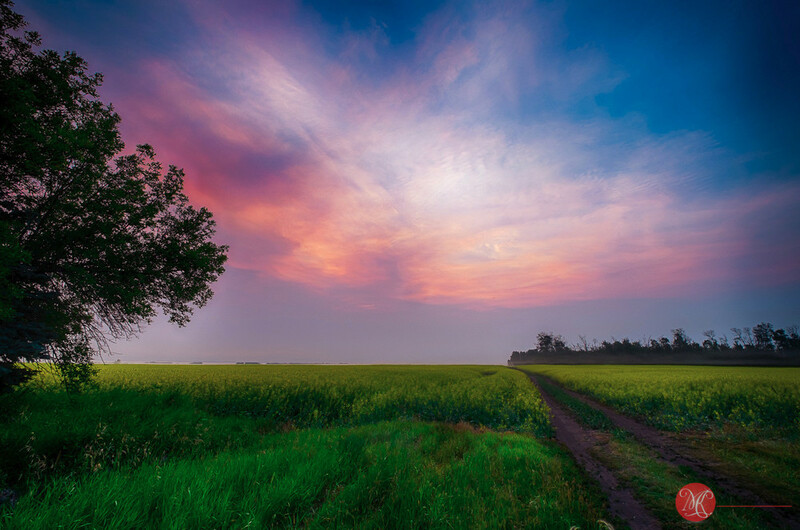 Hordes of mosquitoes, tall wet grass, and me, frolicking with my Fuji X-Pro1 camera and a Fuji 10-24mm lens, trying to get a good angle on a beautiful Alberta sunrise. 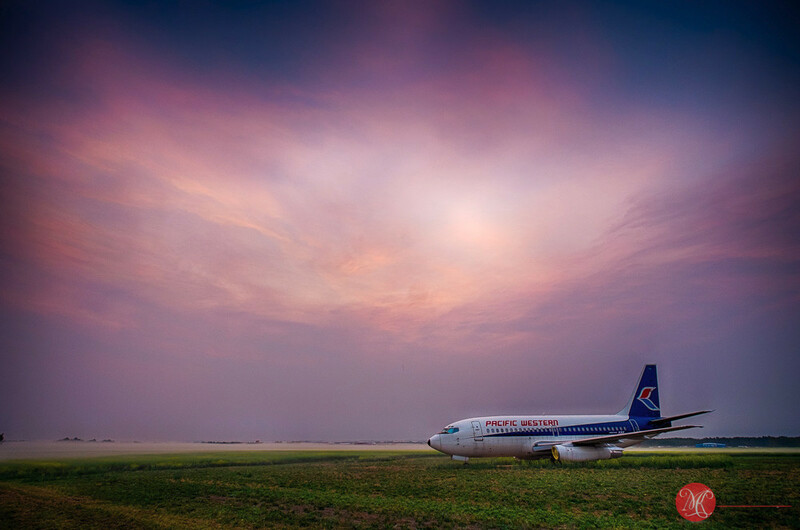 I stopped on the highway near the back of Villeneuve airport, trying the catch the Boing 737 parked there in the middle of a canola field. I really like the juxtaposition of a big passenger jet just sitting there in a farmer's field. The whole story is that the new Edmonton Aviation Museum is going to be built on that spot, and the jet is the first to arrive at the spot. I wanted the images before any buildings or construction would ruin a beautiful view. The fog that was rolling in from the fields that morning was an added bonus. Since Fuji introduced the quite amazing 10-24mm f4 lens, it has been almost permanently attached to either the X-Pro1 or the XT1 Fuji cameras. I am primarily a landscape photographer, although I do not shy from other forms of photography. 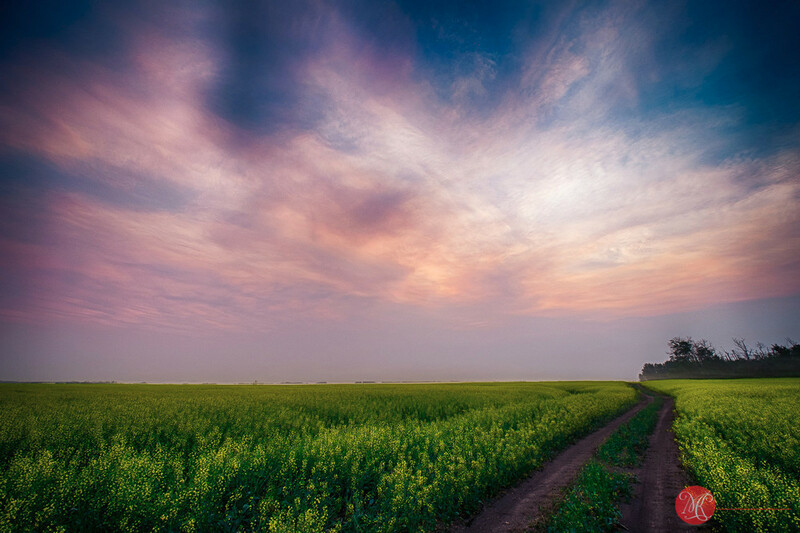 Alberta is perfectly suited for landscape photography. Not only there are flat sea of prairies, but mountains, lakes and huge huge skies. It's a beautiful place, and living here gives me an opportunity to capture it. The added bonus of not having to travel very far, is a blessing, specially on those early summer mornings.